While our current library automation systems which houses our electronic library catalog, circulation functions and patron records. continues to function, it is no longer supported. We would then also like to be able to have our catalog completely accessible online which is not possible with the current system and so are in need of finding a new program. 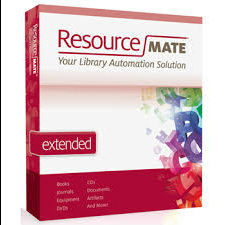 In exploring various options ResourceMate® has surfaced as one of the best and most affordable options designed for small libraries -- the initial cost for the program would be $1045 plus an annual hosting fee of $250 USD/year. With the amount of foot traffic we get in the library we need to clean carpets on an annual basis. We have thought about purchasing our own professional grade machine but found that the cost is quite high and so it is still cheaper to rent. If you would like to help us keep the carpets clean the cost is approximately $60 USD/year. 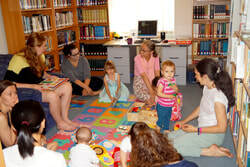 We have two Saturday children's programs -- Kidz Life Story Hour is designed for children ages 3-7. 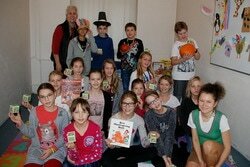 Books and More for English is designed to teach English to older kids (ages 8-12) using a story theme. If you or your church, Sunday School or VBS (or maybe you have leftover crafts) would like to help in providing craft supplies, please let us know -- we can provide a list of current needs.